Mindgardens Neuroscience Network (Mindgardens) has commissioned a white paper on the burden of disease and cost of brain disorders in AustraliaThe burden of all brain disorders in Australia accounted for 20.5 per cent of disability-adjusted life years, nearly twice the global figure of 11.1 per cent illustrating the scale of the health care challenge. The white paper reports the disease burden associated with neurological, mental health and substance use disorders is in excess of $74 billion. Between 2010 and 2017 substance misuse (drugs, alcohol) grew at 24.7 per cent, followed by neurological disorders at 15.6 per cent and mental health disorders by 8.6 per cent. Formed in 2018, Mindgardens sought to determine the current burden of brain disorders in Australia, the associated costs and where innovation and collaboration could help build a new healthcare architecture for all Australians over the next ten years. 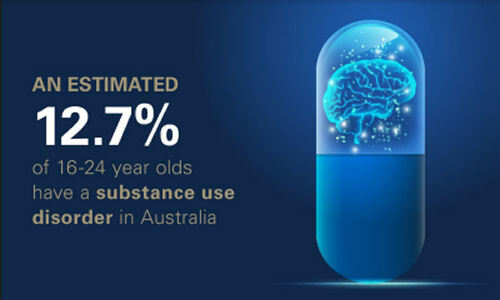 The white paper titled ‘Review of the burden of disease for neurological, mental health and substance use disorders in Australia’, highlights the economic costs associated with the rise in the spectrum of brain disorders – neurological, mental health and substance use disorders. Mental health disorders and suicide cost the nation over $33 billion each year. Neurological disorders cost over $31 billion and substance use disorders almost $10 billion. Together brain disorders in Australia cost over $74 billion per annum and will shortly represent a greater cost to the Australian economy than heart disease, cancer, and respiratory disease combined. “Our aim is to become an international leading precinct for innovative research and compassionate healthcare for all brain disorders,” says Professor Peter Schofield AO, Interim Co-CEO of Mindgardens. “We wanted to understand the current burden of disease and associated costs that arise from the spectrum of brain disorders - neurological, mental health and substance use disorders. With this knowledge, our focus, actions, and solutions can be targeted to better understanding, treatment, cure, and prevention of these great societal challenges,” says Professor Schofield. Working together the Australian Comprehensive Brain Disorder Centre plans to establish a new healthcare architecture using “Apex Clinics” that examine, simultaneously, the whole health of the person - from physical health, neurological, mental health and substance use and will encourage and support collaborative care approaches to ensure quality health care outcomes. Says Professor Helen Christensen AO, Interim Co-CEO of Mindgardens, “The approach to care must aim to review brain disorders in totality not in isolation. Often these disorders are connected and coexisting, they share brain mechanisms and behavioural patterns. We need to take a helicopter view that cuts across siloed’ service provision, creating better and more comprehensive care". This white paper combined with other recent reports (e.g. Investing to Save1) highlight how the national research agenda should be providing an evidence base from which new and improved interventions can be adopted. Workplace interventions, assertive support after a suicide attempt, and dementia support services result in both economic returns on investment and positive health and wellbeing outcomes for individuals. Mindgardens is based in Sydney, Australia. Also check out their videos on Barrie Trower and Devra Davis showing how mobile phone use definitely negatively impacts the brain and neurological systems. There are ways to mitigate damage e.g. using an air tube and never leaving a phone in your pocket near your body etc. Best way is to avoid use altogether. Good points, Menkit, although I think they cite stats on rising drug use. 5G looks as if it could be a greater problem in so many ways and almost no-one asks what do we need this massive increase in data transmission? It will be for 'smart cities' where individuals have no democratic input, robots that spy on people, and huge amounts of advertising. There will be no choice about opting out, except maybe in the country (which will probably all be owned by corporations). Glad I'm not just starting out life.